With the passage of time, something else happens with older comedies that were very successful – they become part of mainstream culture. They are referenced and respun, spoofed and parodied. Movies in general do this, but for comedies it means that their jokes or gags are revealed to those that haven’t seen the movie yet. 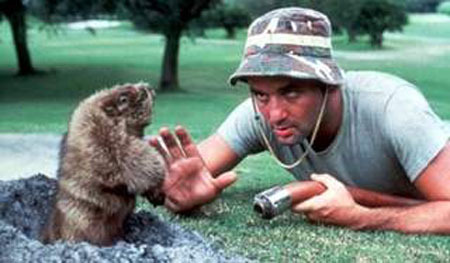 These are the contributing reasons that Caddyshack fell short on my first viewing. The main scenes that made the film famous are ones I had seen before, or felt like I had seen them in parody. The scenes with Bill Murray and the gopher, the bits of Rodney Dangerfield, and the boat sequence are all funny, but they didn’t catch me the way they probably did for people who saw the movie with no expectations or point of reference. I’m not saying Caddyshack isn’t funny, but it’s been so cemented into the annals of comedy that it had a lot to live up to. It’s one of those movies a lot of people of a certain age reference because when it came out, all those people were of a certain age to see it. The younger you go, the less it’s referenced because less people in that generation have seen it. They are only aware of it through other references. The cast is great and live up to their comedic legacies. Bill Murray is genius (maybe not as much as Ghostbusters, but still great), Chevy Chase has great delivery of lines you almost miss because he doesn’t act like he’s telling jokes, and Dangerfield does what he does best – gets no respect and does a solid 30 minute set spread throughout. I saw it thinking I’d catch more references people were making. Turns out, I get them all already without seeing the movie. I had fun on my first CinemaShame penance, but I didn’t get the absolution I was hoping for. Maybe I’ll have slightly better luck in February. 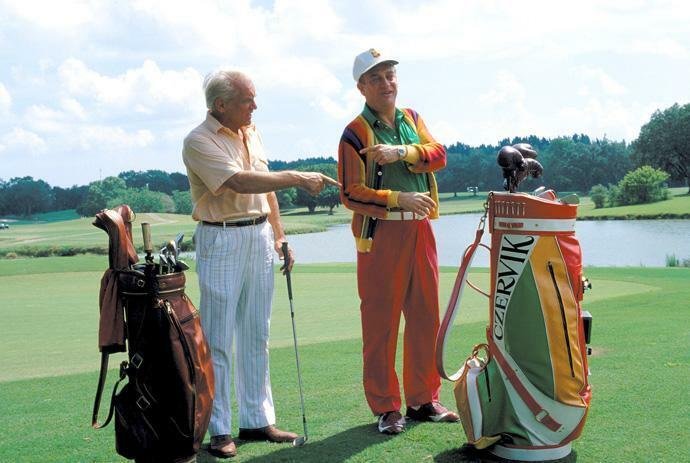 This entry was posted in @theactualkeith and tagged caddyshack by campbelldropout. Bookmark the permalink.